Connie Joyce Eggleston was born in Cleveland, Ohio on March 25, 1947, the fifth of nine children born to Johnnie and Nancy Smith. She attended private schools in Cleveland, and graduated from St. Peters High School in 1965. On January 7, 1967, she married Charles Edward Eggleston (Butch) at St. Edwards Church. Connie and Charles had one child, Charles Christopher Eggleston. Connie pursued her nursing degree graduating from Jane Adams Vocational School and eventually became a LPN and was pursing her RN. Also, her only grandchildren (Sydney & Shelby) are both following in her footsteps by pursuing a career in nursing…this made Connie very proud! Over the many years of Connie’s career she worked at Suburban Community Hospital, Braeview Care and Rehabilitation Center, Suburban Pavilion and for the Visiting Nurses Association. 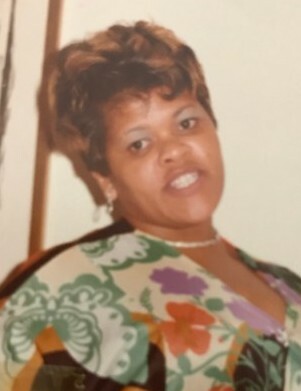 Connie loved listening to music, taking vacations with her family and friends, playing cards. Her greatest joy was welcoming her twin granddaughters…she was a doting grandmother. Connie and Butch enjoyed many cabin trips with their closest friends and relatives (Sonny and Betty Conway, Bobby and Yvonne Pounds, Doug and Mary Porter, Priscilla and Lawrence Humphries, Lynda Bivins and Gary Morgan, Robert and May Moppins) they affectionately referred to themselves as The Cabin Crew. Connie was preceded in death by her parents, her brothers Roy Smith, Harold H. Smith (Julia) and sisters Octavia Smith and Darlene Beckles and nephew Douglas Smith. She is survived by her beloved husband Charles E. Eggleston, son Charles Christopher (Tammi), dearest twin granddaughters Sydney Denise and Shelby Elese Eggleston. One aunt Mary L. Stone. Cherished siblings Claude L. Smith, Rev. Johnnie B. Smith (Octavia), Lynda J. Bivins, Debbie Smith, LaJuan C. Johnson (Tia). A host of nieces and nephews, Stephanie R. Smith, Thomas M. Smith, Gregory Smith (Lynette), Jeffrey Smith (Valerie), Jennifer R. Madden, Tyrone A. Madden, Jr., Tamekia L. Vason (Corey), Tiffany N. Smith, Jonathan Smith (Fakisha), Sarah A. Jones, Adam L. Smith, Hope Bey (Amir Young), Courtney L. Beckles, Michael Beckles, Julian Johnson and Isabella Johnson. A host of great-nieces and nephews.